The young Chinese couple had just parked their rented camper van in the main street of Sheffield in the southern Australian state of Tasmania. A cafe offered a warm, welcome respite from the harsh wind outside and a temperature of 5 C.
The couple from Beijing had earlier flown to Launceston, in the north of the state, from Sydney-a journey of about an hour and a half. After collecting their bags, they set off across the state in the camper van, staying for a day or two in places that took their fancy. They represent the new breed of Chinese tourist-avoiding organized group tours and preferring instead to do their own thing. The Asia-Pacific region has been the main beneficiary of the surge in the number of Chinese traveling abroad, a result of the country's economic growth in the past two decades. From 2007 to last year, annual per capita GDP rose from $2,650 to $8,670, pushing China into the ranks of the world's upper middle-income countries, according to global consultancy IHS Markit. And with more money to spend, China's rapidly growing middle class wants to travel. Last year alone, Chinese accounted for 143 million international tourist trips, according to the UN World Tourism Organization. In 2000, the number was just 10 million. Chinese tourists' estimated spending on overseas travel last year of $260 billion makes the country by far the world's largest outbound international tourism market, said IHS Markit Asia-Pacific economist Rajiv Biswas. China's international tourism boom is having a significant economic impact on the Asia-Pacific region, driving rapid growth in the tourism economies of many countries including Thailand and Japan, Biswas said. Leon Perera, CEO of regional company Spire Research and Consulting, said, "Chinese outbound tourism, like its Japanese counterpart a generation ago, has had a transformative effect on Southeast Asia's tourism industry. "The inflow has sparked investment in capacity-building among the region's tourist locations," Perera said. "Going forward, the number of Chinese tourists can be expected to moderate as economic growth slows." Perera said Chinese tourists visiting Southeast Asia tend to spend less per capita than their Western counterparts, but spending power is disparate, calling for different strategies for the mass market and premium sectors. "At the same time, Southeast Asia's tourism industry has to moderate the possibility of overdependence on tourists from any one source country," he said. Biswas, from IHS, said Chinese tourism in Thailand has gained considerable momentum following the release of the 2012 Chinese comedy movie Lost in Thailand. In 2011, about 1.7 million Chinese visited Thailand, compared with 9.8 million last year, which represented 27.7 percent of all international tourism arrivals to the country. With spending by international tourists in Thailand reaching an estimated $56 billion last year, "tourism has become a key segment of the overall Thai economy", Biswas said. "Given total Thai gross domestic product in 2017 was $455 billion, this highlights the important role of international tourism in the overall economy," he said. According to Biswas, the contribution of Chinese tourism to Thailand last year was estimated at $16 billion. Statistics from the Bali Tourism Promotion Board show that Australia is no longer the top source for tourists to the Indonesian vacation destination. China, for the first time, has taken the No 1 spot. Last year, 1.09 million Australians visited Bali, down from 1.14 million in 2016. 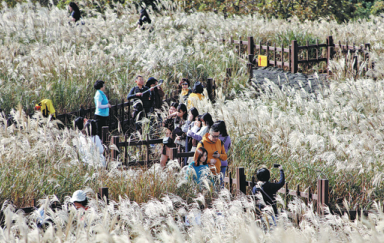 In the same period, the number of Chinese visitors rose from 987,000 to 1.39 million. Some 3.8 million tourists from China visited Vietnam in the first nine months of this year, a year-on-year rise of 29.7 percent, according to the Vietnam National Administration of Tourism. In the same period, more than 11.6 million international arrivals were recorded in Vietnam, of which 32.8 percent were Chinese. The administration said 16 to 17 million foreign visitors are expected to visit Vietnam this year, accounting for tourism revenue worth $27.5 billion. Andrew Herdman, director-general of the Association of Asia Pacific Airlines, said, "Air travel is now part of everyday modern life for billions of people worldwide. "Within the Asia-Pacific region, aviation has had a transformative influence on social and economic development, serving rapidly growing numbers of middle-class consumers." According to a report released by the Air Transport Action Group in Geneva, Switzerland, on Oct 2, Asia-Pacific is benefiting from air connections, as more than 1.5 billion passengers travel in the region, supporting 30.2 million jobs in aviation and related industries, and 2.7 percent of the region's economic activity. In a statement, Michael Gill, the group's executive director, said, "Let's take a step back and think about how advances in air transport have changed the way people and businesses connect with each other-the reach we have today is extraordinary." He said Asia-Pacific has seen real benefits in embracing the role of air travel. "Today, the region is the busiest in the world, with over a third of global passenger traffic from Asia-Pacific. Passengers in the region have taken advantage of the reduction in the price of tickets in recent decades, which enables more people to travel, see the world and do business outside of their own country. "By 2036, aviation in the region is expected to support 44 million jobs and $1.7 trillion in economic activity," Gill said. He said key to this growth will be the sustainable development of air transportation as part of national growth plans. This will include "improvements in infrastructure, support for sustainable aviation fuels, and helping to encourage more young women and men to think of careers in aviation". Another country that has seen enormous growth in Chinese tourism is Japan. Before 2012, its international tourism economy was relatively small when measured as a share of GDP. Biswas said, "Rapid growth in Chinese tourist visits helped push total international visitor numbers up from 6.8 million in 2009 to 28.7 million in 2017." He added that the number of Chinese tourists visiting Japan last year rose to 7.36 million, up from 1 million in 2009. Chinese tourism to Japan last year rose by 15 percent year-on-year, accounting for 25.6 percent of international arrivals, while overseas visitor spending in the country reached $40 billion, with Chinese contributing about one-third of this, Biswas said. Chinese tourism has also had a significant impact on the South Korean economy, accounting for 46.8 percent of international visitors in 2016. 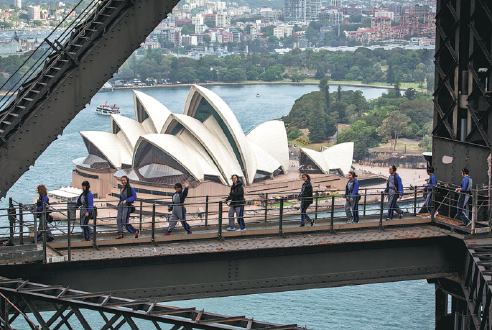 In Australia, Chinese have become a key growth driver for the tourism sector, with 1.3 million arriving last year and spending $8.2 billion, up by 14 percent year-on-year. "With Chinese annual per capita GDP forecast to continue rising significantly over the next decade, from an estimated $9,700 in 2018 to $22,000 by 2028, the Chinese tourism boom in the Asia-Pacific region looks set to continue over the long term," Biswas said. The Pacific Asia Travel Association has forecast that Chinese tourists will form 40 percent of the Asia-Pacific market and will remain the key driver of Asian tourism growth in the foreseeable future. 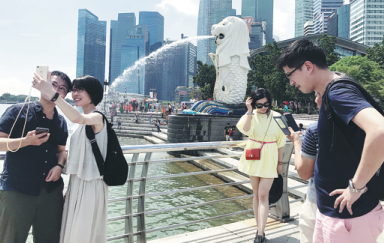 Paul Yong, an analyst with DBS Bank in Singapore, said recently that the number of outbound Chinese tourists rose from 98.2 million in 2013 to 130.5 million last year to become the world's largest outbound market source. "Yet less than one in 10 Chinese citizens has a passport," he said. "Imagine the sheer potential for growth as passport penetration catches up with Japan (23 percent), the United States (41 percent) and Australia, where 56 percent of the population have passports."